Up to seven out of 10 people currently seen by advanced care paramedics may need help – but not a hospital visit. Paramedics only have a limited ability to supply medicines at the moment but will now be able to do this without delay or the patient seeing their GP. Rachel Power, The Patients Association chief executive, called it “good news”. She added: “It will make it easier for them to receive treatment at home, eliminate the need to see a second professional in many cases, and reduce the need for transportation into hospital that isn’t clinically necessary. Some advanced paramedics already work in GP practices, where they usually look after urgent same-day patient requests, including some home visits. And others who work in emergency departments will also be able to prescribe medicines, allowing doctors to see more needy patients. Around 700 paramedics are going to be trained, to qualify them to write prescriptions. Gemma Walsh, an advanced paramedic who specialises in urgent care, said the ability for paramedics to be able to prescribe was a “fantastic development for our profession”. She said it would help to reduce pressure on GPs and hospitals and would speed up the time it takes for patients to receive treatments. 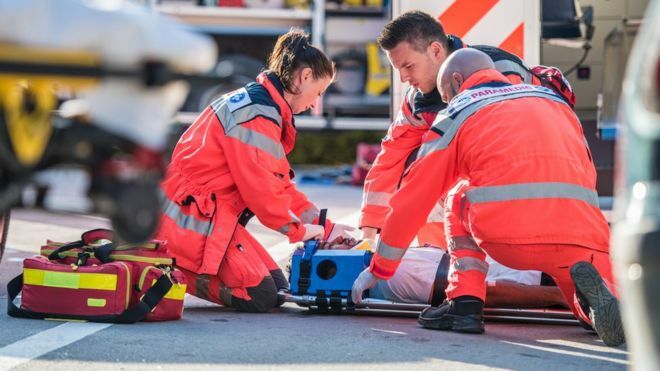 An NHS England spokesperson said: “Increasing the range of treatments offered by paramedics closer to people’s homes is another significant step in transforming emergency care, as ambulance clinicians increasingly become part of community urgent treatment services. Gerry Egan, chief executive of the College of Paramedics said: “Independent prescribing legislation is a huge endorsement of the paramedic profession and the role it plays in providing safe, high-quality care for patients in urgent and emergency care.